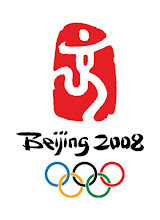 India’s top youth swimmers, 18yrs and under for the boys and 17yrs and under for the girls, participated in the 2nd FINA World Youth Swimming Championships at Monterrey, Mexico from 8-13 July 2008. 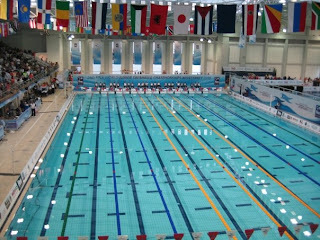 No Indian swimmer won a medal here, but Virdhawal Khade’s performances made everyone sit up and take notice. Virdhawal, who will celebrate his 17th birthday in the end of August, was racing with boys a year older to him. Virdhawal went on to become the first and only Indian swimmer, so far, to make the finals, top 8, of an event of this magnitude. 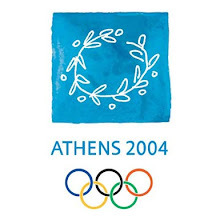 In each of his main events – 50, 100 and 200m Freestyle – he created new National Records and swam faster than the previous World Youth Championship records. The maximum time gap that separated him from a medal was 0.63sec (in the 200m Freestyle). 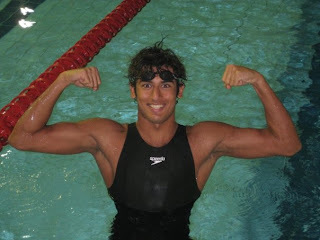 Virdhawal’s best finish came in the 50m Freestyle where he finished 5th with time of 22.95sec (this time would have earned him a bronze medal at the 2006 Doha Asian Games). In the semi-finals, Virdhawal clocked an amazing time of 22.69sec. With this time he: is currently tied-fastest Asian swimmer this year/ would have won a silver medal at the 2006 Asian Games/ is currently ranked no. 86 in the World this year (click here for the list)/ was faster than the previous championship record time of 22.74sec. He also broke Olympian Sebastian Xavier’s 10-year-old National record time of 22.89sec. Three out of the four swimmers who swam faster than Virdhawal were a year older to him. He missed getting onto the medal podium by 0.25sec. In the 100m Freestyle Virdhawal finished 7th with a time of 50.70sec. Five out of the six swimmers who swam faster than Virdhawal were a year older to him. Virdhawal missed getting onto the medal podium by 0.37sec. In the semi-finals, Virdhawal clocked 50.49sec creating a new National Record. The previous National Record was held by him with a time of 50.66sec that he set in May this year. In the 200m Freestyle Virdhawal finished 6th with a time of 1:50.35sec. Three out of the five swimmers who swam faster than Virdhawal were a year older to him. Virdhawal missed getting onto the medal podium by 0.63sec. He bettered his previous National Record time of 1:51.65sec set by him in May this year. India finished 24th with 36 points with Virdhawal being the sole contributor – 13, 11 and 12 points in the 50, 100 and 200m Freestyle respectively. According to Virdhawal’s coach, Mr. Nihar Ameen, two things became apparent during the course of the competition, the first was that Virdhawal has what it takes to be among the best in the world and second that Virdhawal is very inexperienced and needs to compete more at this level.